Dr. Jeannette M. Wing is the President's Professor of Computer Science in the Computer Science Department at Carnegie Mellon University. She received her S.B. and S.M. degrees in Electrical Engineering and Computer Science in 1979 and her Ph.D. degree in Computer Science in 1983, all from the Massachusetts Institute of Technology. From 2004-2007, she was Head of the Computer Science Department at Carnegie Mellon. Currently on leave from CMU, she is the Assistant Director of the Computer and Information Science and Engineering Directorate at the National Science Foundation. Professor Wing's general research interests are in the areas of specification and verification, concurrent and distributed systems, programming languages, and software engineering. Her current focus is on the foundations of trustworthy computing. Professor Wing was or is on the editorial board of twelve journals. She has been a member of many advisory boards, including: the Networking and Information Technology (NITRD) Technical Advisory Group to the President's Council of Advisors on Science and Tecbnology (PCAST), the National Academies of Sciences's Computer Science and Telecommunications Board, ACM Council, the DARPA Information Science and Technology (ISAT) Board, NSF's CISE Advisory Committee, Microsoft's Trustworthy Computing Academic Advisory Board, the Intel Research Pittsburgh's Advisory Board, and the Sloan Research Fellowships Program Committee. She is a member of AAAS, ACM, IEEE, Sigma Xi, Phi Beta Kappa, Tau Beta Pi, and Eta Kappa Nu. 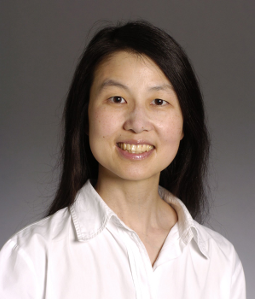 Professor Wing is an AAAS Fellow, ACM Fellow, and IEEE Fellow.